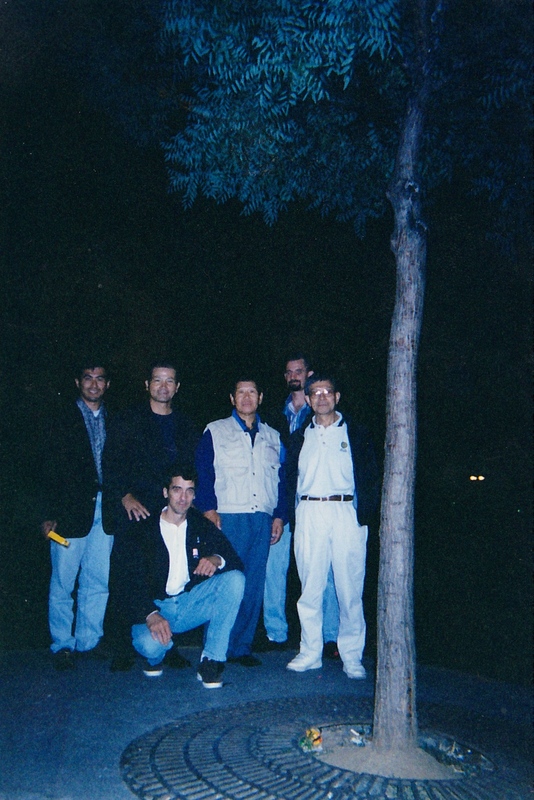 World Shoto Cup, Paris, 1998. Standing, left to right: Yasuaki Nagatomo, Master Takashina — team coach (dec. 2013), Master Yaguchi, Shawn Sample, Master Okazaki. Crouching, Mark Tarrant.